Last week, the Senate Appropriations Committee approved the fiscal year (FY) 2018 Energy and Water Development appropriations bill with a bipartisan vote of 30-1. The Senate bill would provide $31.5 billion for the Department of Energy (DOE), an increase of $718 million, or 2.3 percent, above the FY 2017 enacted level. This level of funding is $1.6 billion more than the House bill and $3.6 billion above the budget request. The Senate’s top DOE priority was increasing funding for basic science and energy research in the Office of Science and the Advanced Research Projects Agency-Energy (ARPA-E). Both the Office of Science and ARPA-E would receive the highest levels of funding in their programs’ history. This is in sharp contrast to the House bill, which maintains flat funding for the Office of Science and eliminates ARPA-E. The Senate bill also explicitly rejects the Administration’s and House’s shifts in applied energy programs to fund mostly early-stage research and development and abandon later stage development and demonstration activities. This approach is most apparent in funding for renewable energy and energy efficiency projects where the Senate bill would provide $1.9 billion, which is $1.3 billion more than the president’s budget request and $774 million above the House bill. Similar to the House, the Senate bill also prioritizes the National Nuclear Security Administration’s (NNSA) nuclear weapons modernization activities, with a proposed increase of $755 million above the FY 2017 enacted level. The full House is expected to debate and vote on passage of the Energy and Water bill this week as part of a larger security-related spending package that also includes funding for the Department of Defense, Department of Veterans Affairs, and Legislative Branch agencies. 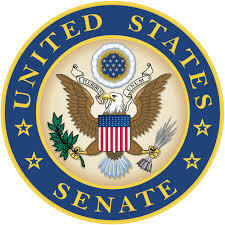 The Senate, however, does not have a clear timeline for further consideration of the Energy and Water bill.